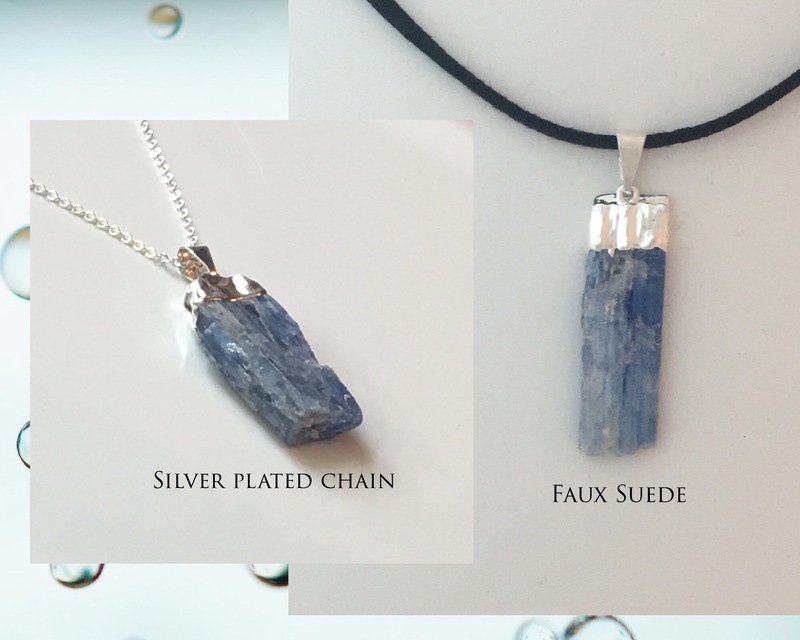 Choose between Faux Suede or silver-plated chain; click image for detailed view. 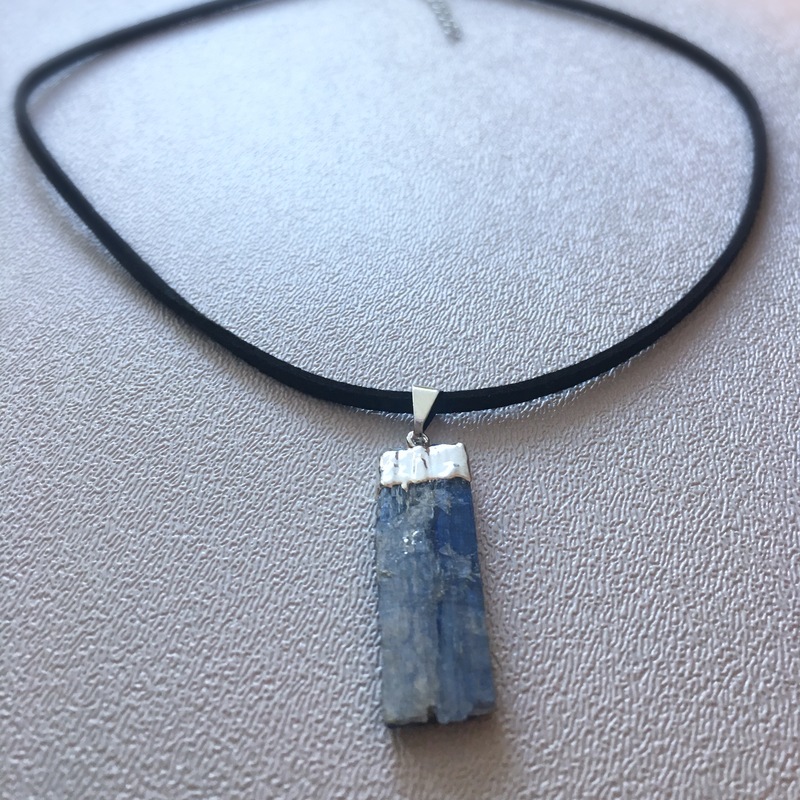 Kyanite:Communication, Loyalty, and Fair Treatment of Others. 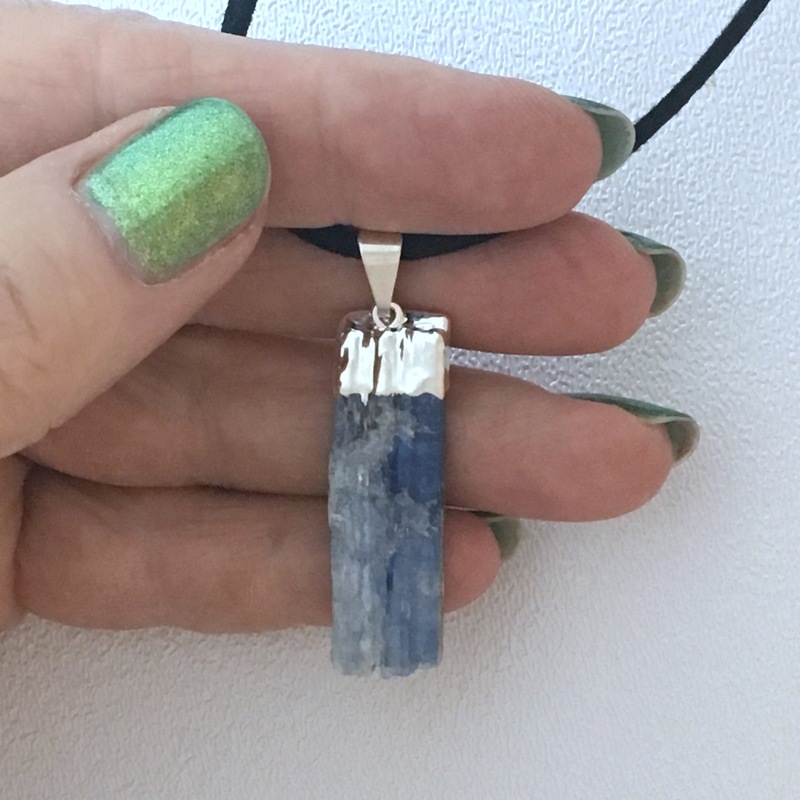 Because of the way Kyanite crystals are formed, the stone often has a fibrous looking, wood-grain like pattern of striation, which causes the stone to shimmer, rather like cat’s-eye stones. 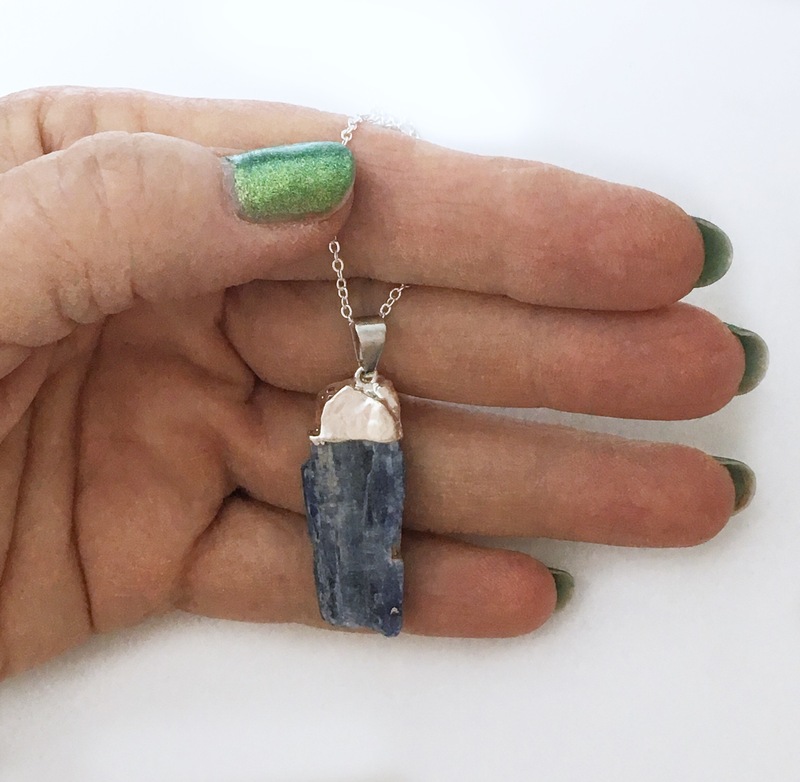 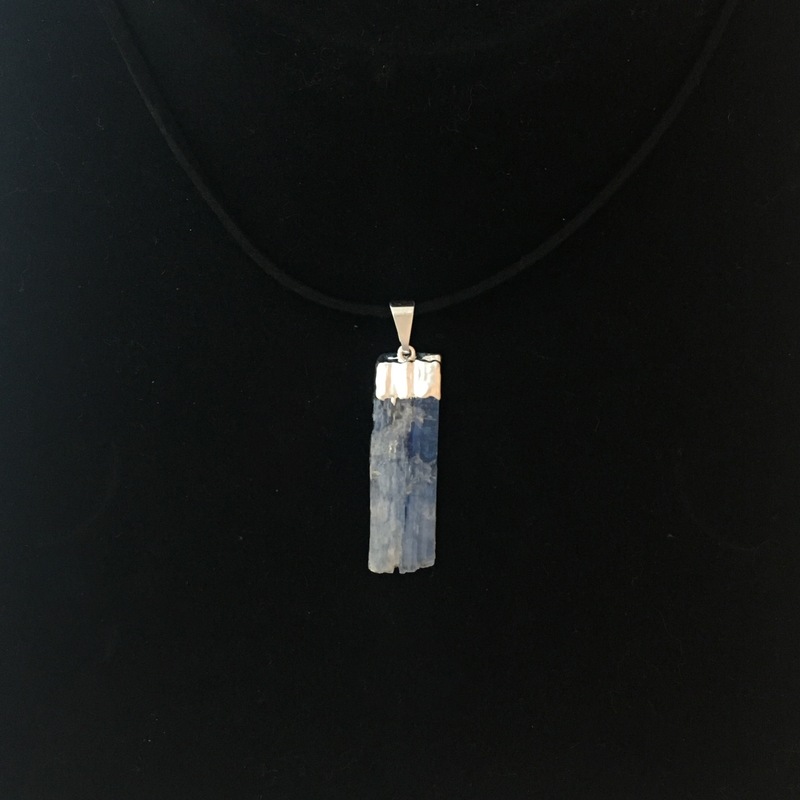 Blue Kyanite represents the Throat Chakra, Communication, and Attunement; is considered to facilitate meditation; cool, rational thought; facile transition between states of consciousness; and is thought to be assistive in contacting one’s Spirit Guides, Angels, or Higher Power. 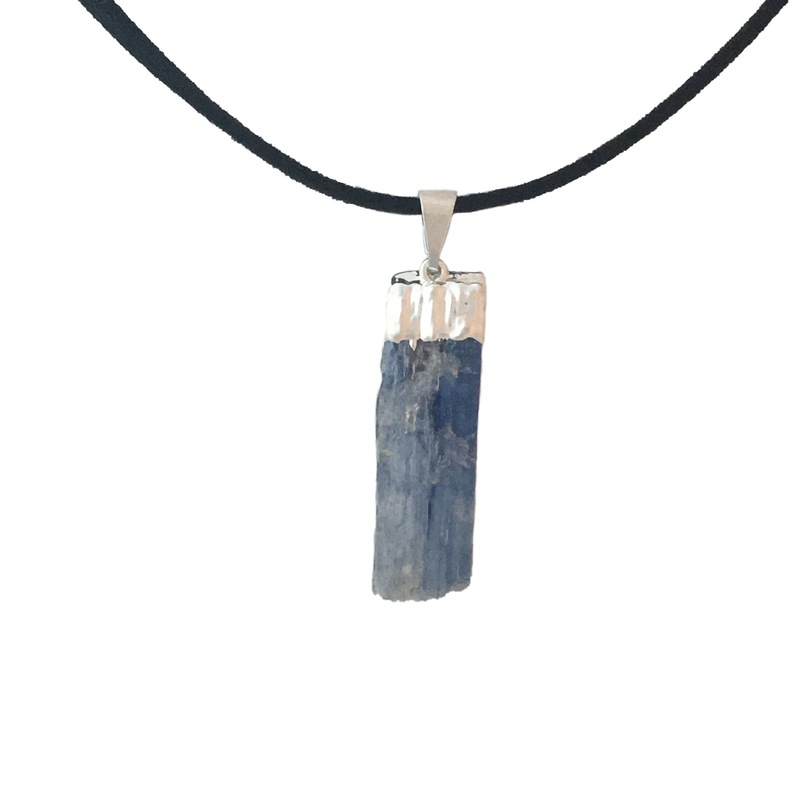 Additionally, Kyanite represents loyalty and fair treatment of others. 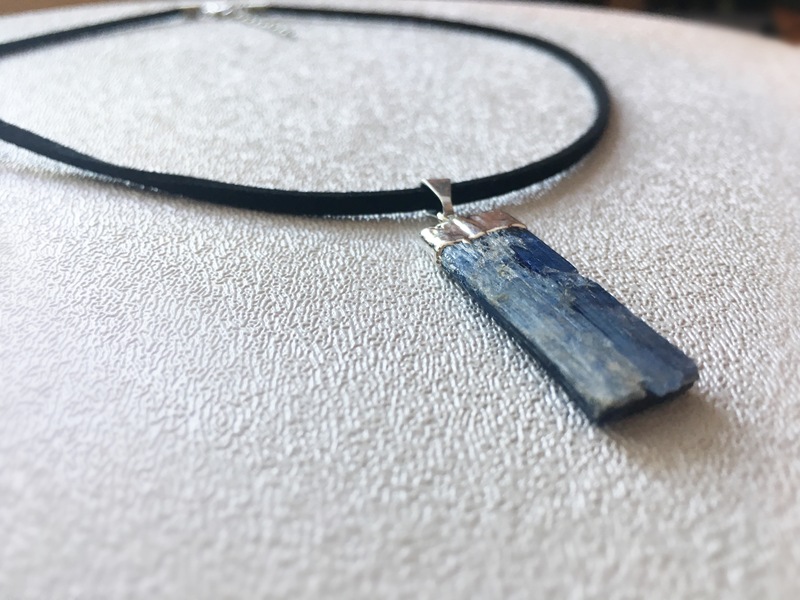 Kyanite is usually found in shades of blue, but can also be found in black, green, and orange, each of which has its own nuances of influence. 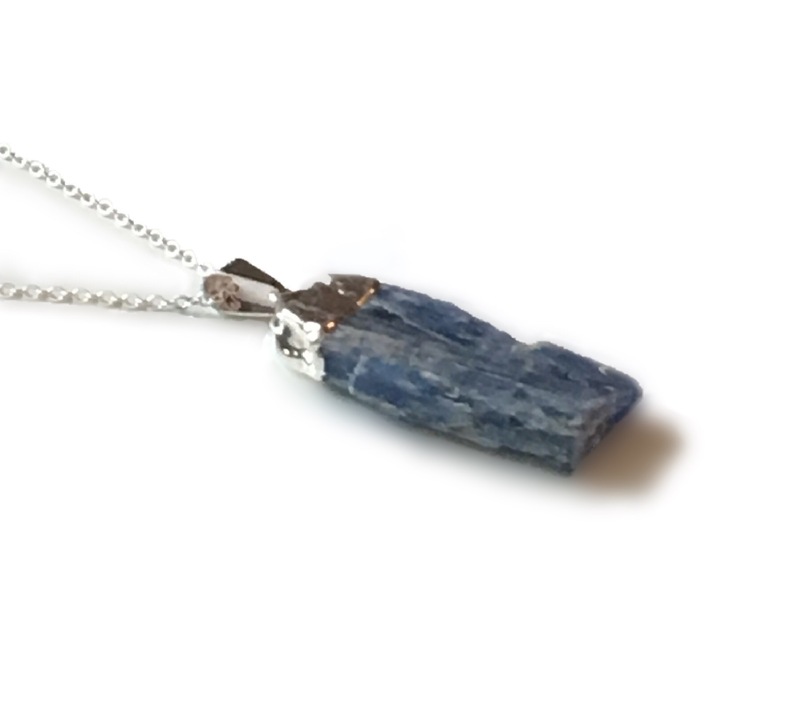 Kyanite is affiliated with the astrological signs, Aries, Taurus, and Libra. 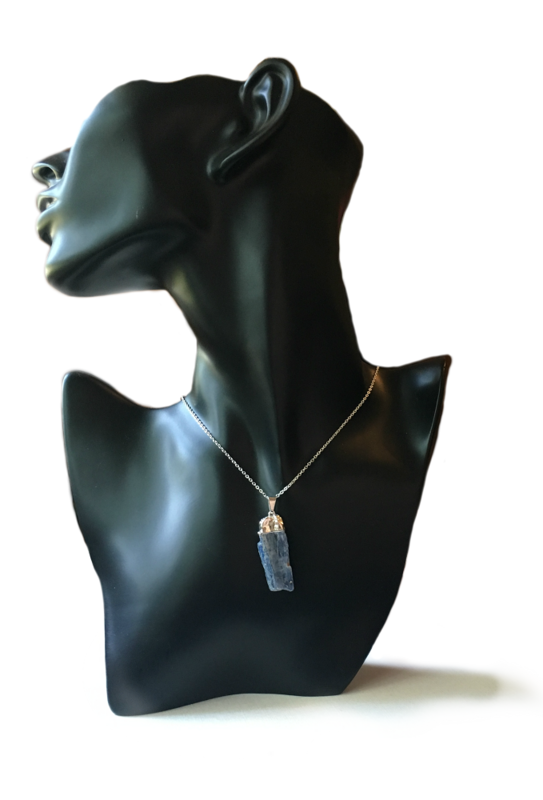 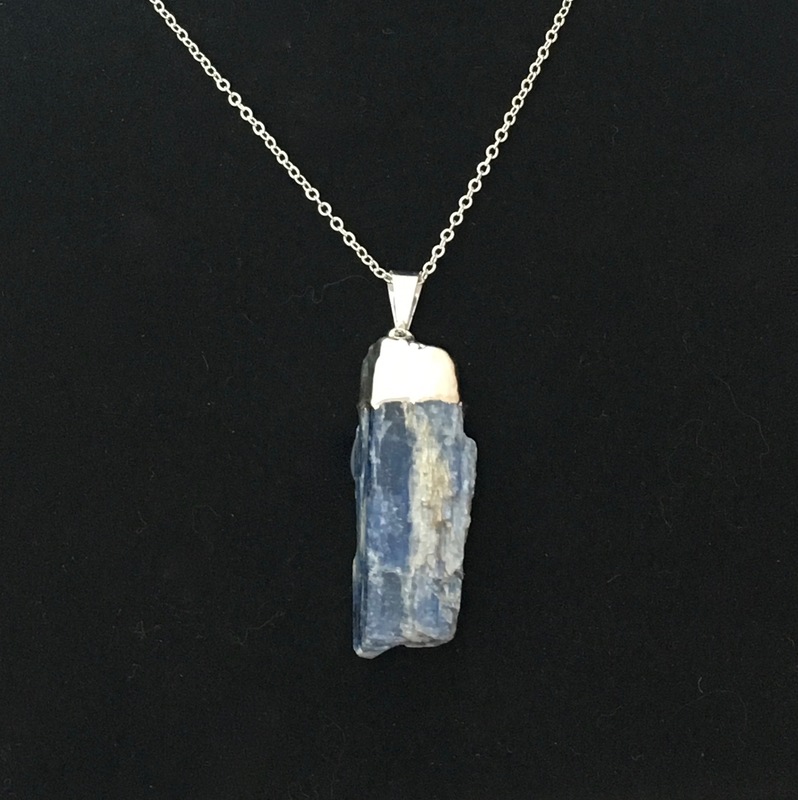 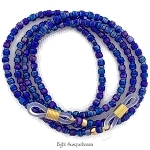 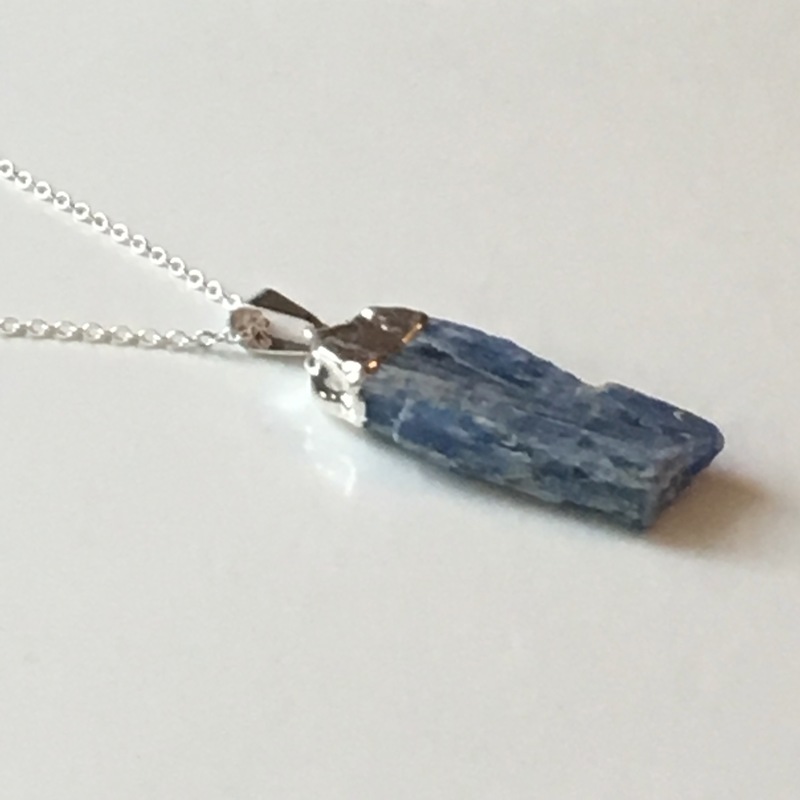 Here is a Sky Blue Kyanite pendant necklace; choose between an 18 in. 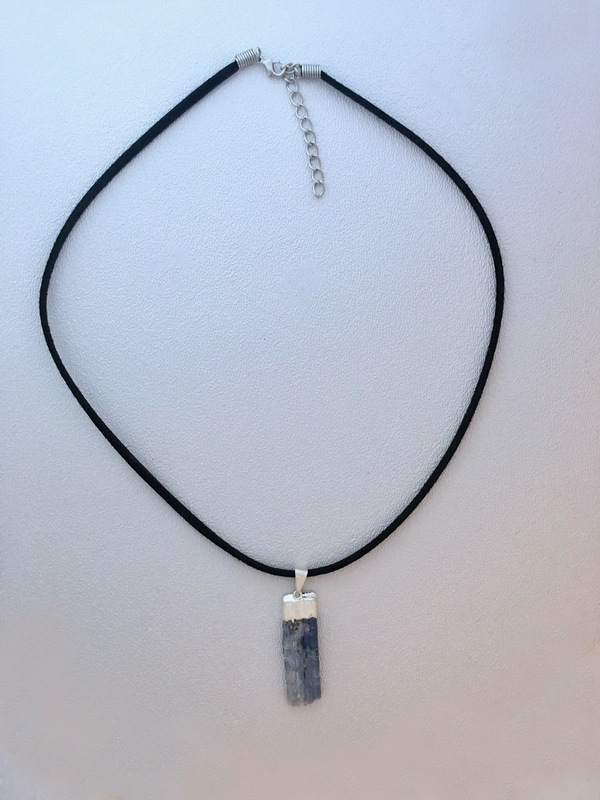 black faux suede, or silver-plated chain necklace.